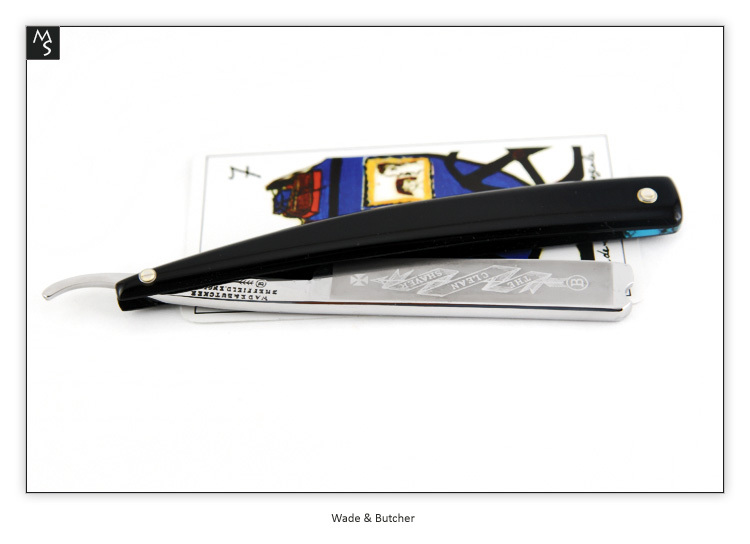 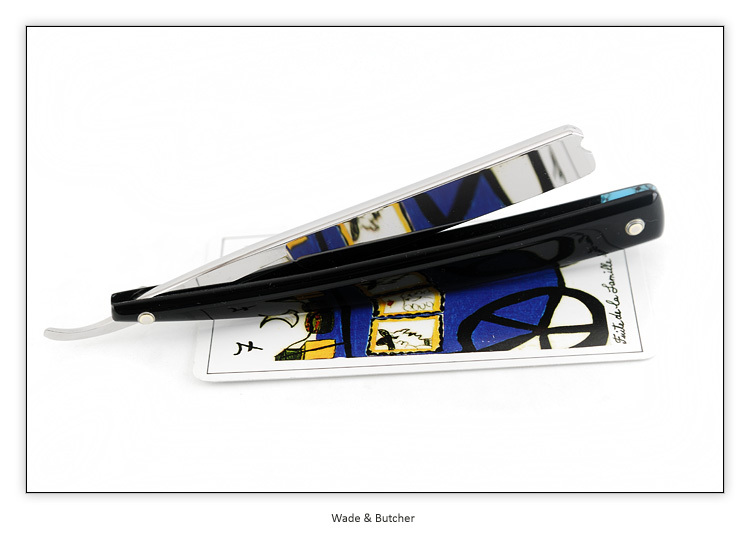 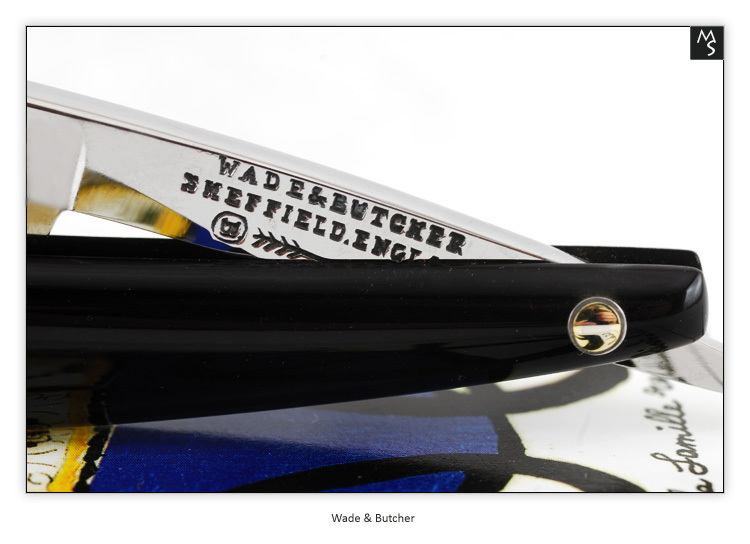 This is a gorgeous looking Sheffield vintage collectors razor from Wade & Butcher.. 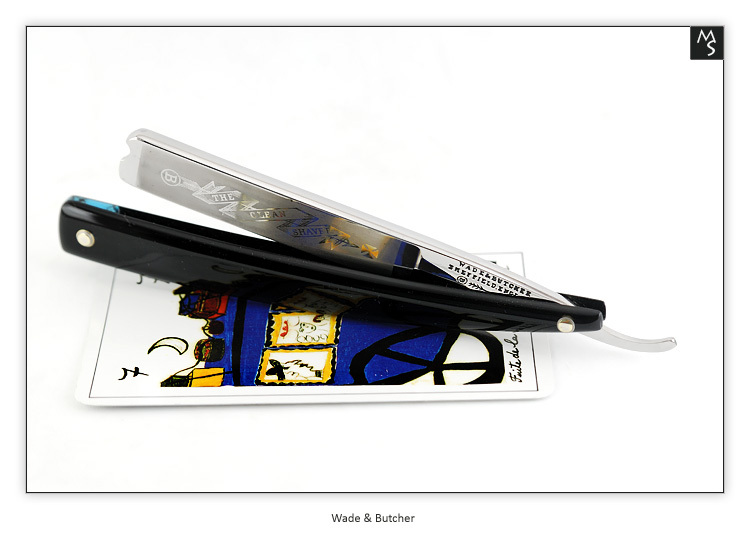 The custom scales are Black Acrylic w/tapered turquoise recon stone. 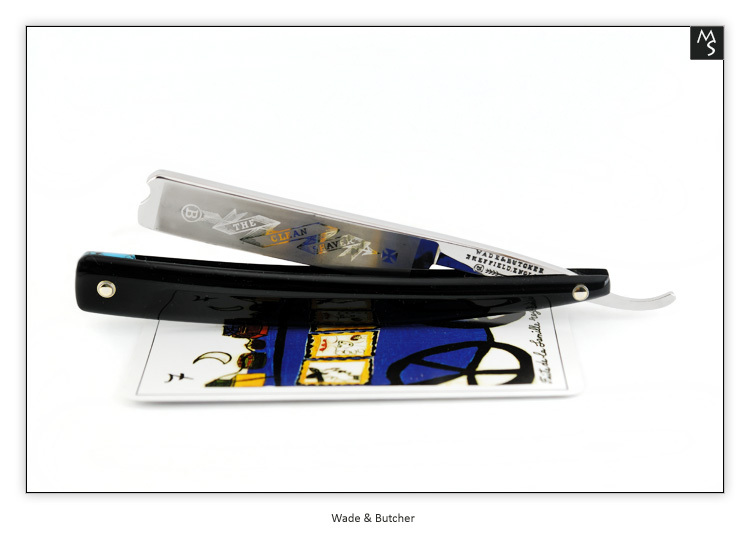 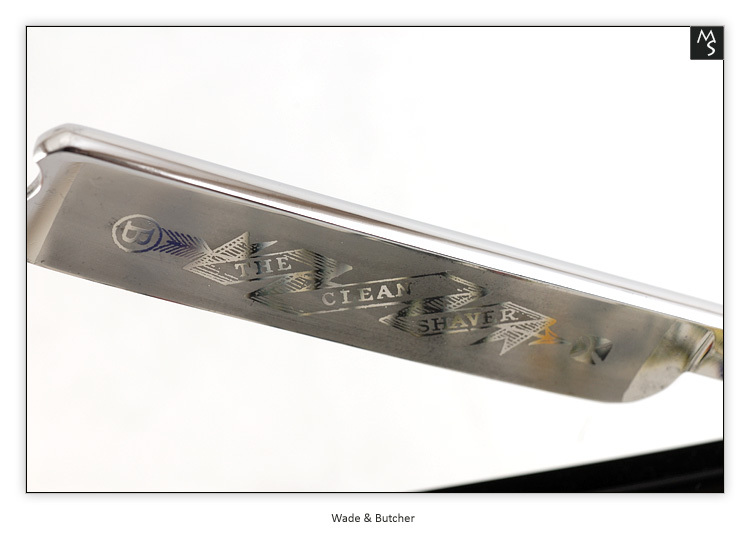 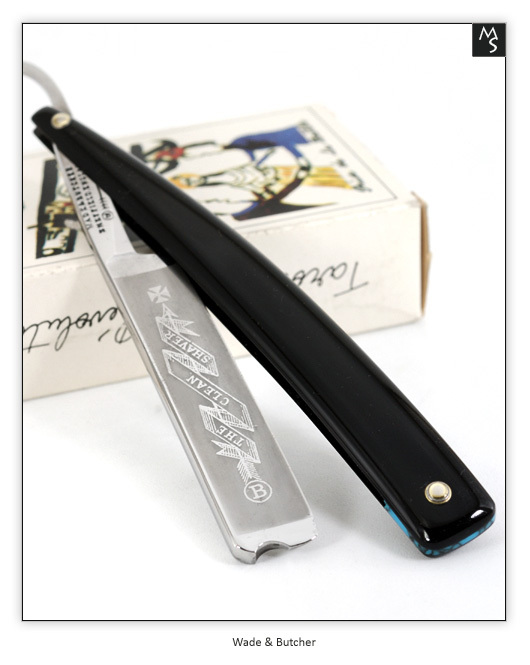 Razor has professionally been cleaned preserving all original grind and etching. 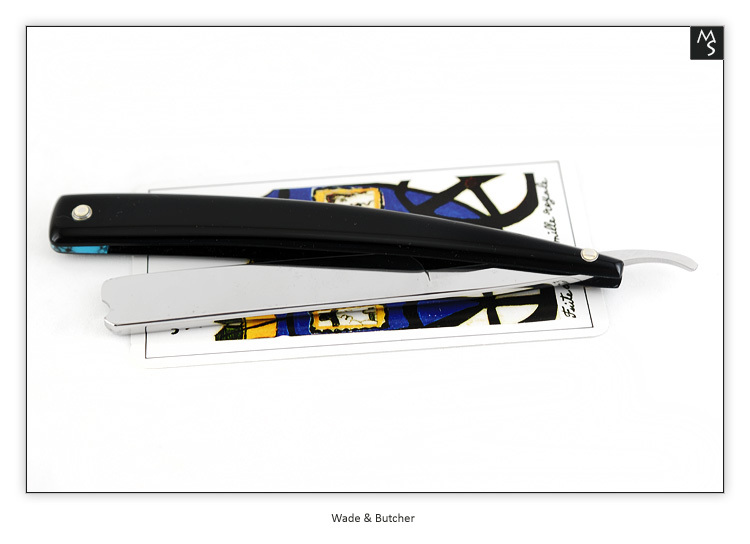 I decided to leave the frosted blade etching, however this limits the cleaning and restoring of the frosted etching as one swipe with the buffing wheel means fading and eventually losing it all. 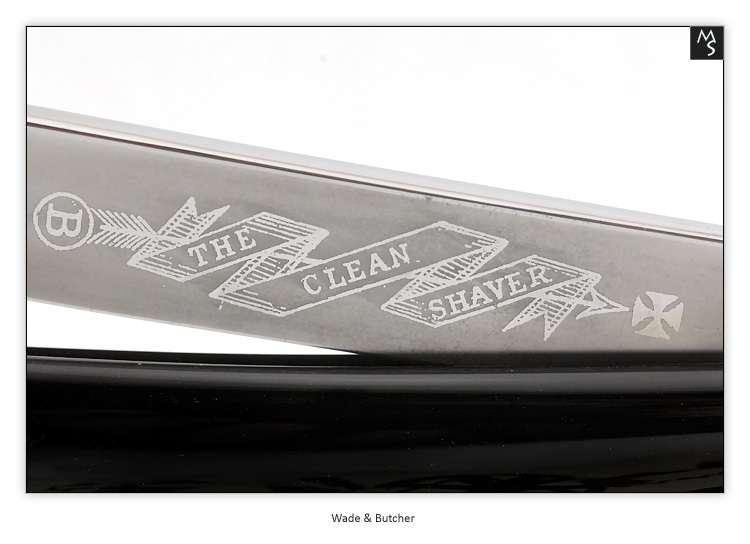 Because of this few barely noticeable remaining shallow residual stains remain but for a razor that's over 100 years old I'd say it looks extremely well preserved. 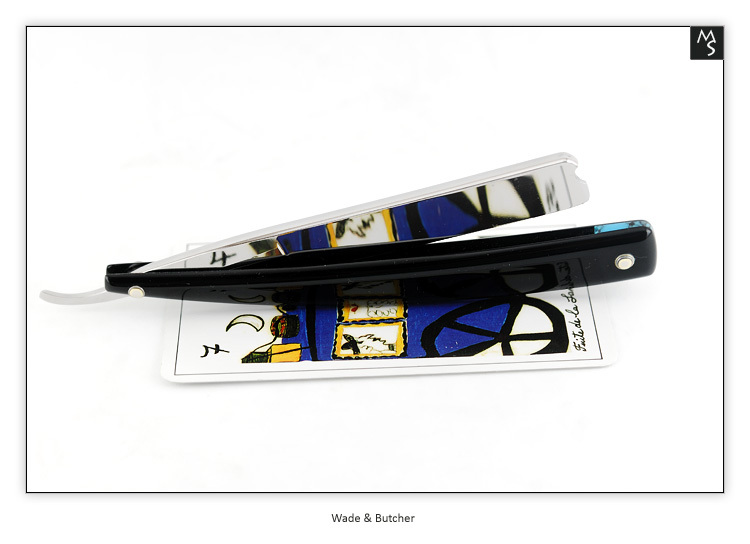 Blade holds minor hone wear and sits nicely in the scales.